Melasma (also called Chloasma) is an extremely difficult condition to treat using traditional methods. It usually effects women. Melasma is an hormonally induced pigmentation condition generally characterised by relatively symmetrical pattern of dark pigmentation on the face often around the eyes, cheek, lip, chin or brow. Melasma appears as grey-brown pigmentation and looks a bit like dirty or discoloured skin patches. Melasma is stimulated by UV light. If Melasma is treated incorrectly, it can worsen. Sun protection is necessary to reduce the effects of Melasma. There are two types of melasma characterised by the depth in the skin of the pigmentation. Whilst epidermal pigmentation may temporarily fade with topical lightening agents, the deeper, dermal form of melsama cannot needs to be treated with Revlite Q-switch ND-Yag laser to break down the pigment to smaller particles for the lymphatic system to remove from your skin. A patient with melasma usually has a combination of both dermal and epidermal melasma. The Revlite works by being selectively attractive to the pigmentation in the dermis and epidermis. The extremely short pulse duration of the revlite shatters the pigment which is absorbed by the lymphatic system. Approximately six treatments are provided for melasma at one to two week intervals. Some melasma has cleared in as little as two treatments with Revlite laser. The longer you leave your melasma untreated the more difficult it is likely to be to remove it. After each treatment you will notice that the melasma will progressively lighten. Care needs to taken during and after the course of treatments to minimise or eradicate sun exposure. Exposure to UV light will once again stimulate the melanocytes and the melasma can return! Melasma (also called Chloasma) is an extremely difficult condition to treat using traditional methods. Most commonly seen on the facial skin of women, it is a hormonally induced pigmentation condition which is generally characterised by a roughly symmetrical pattern of darker blotchy grey-brown pigmentation around the eyes and cheeks, and above the lip, chin or brow. Melasma is stimulated by UV light, and if treated incorrectly, can worsen. Sun protection is necessary to reduce the effects of melasma. At the Laser Skin Clinic we recommend uberZinc sun protection. 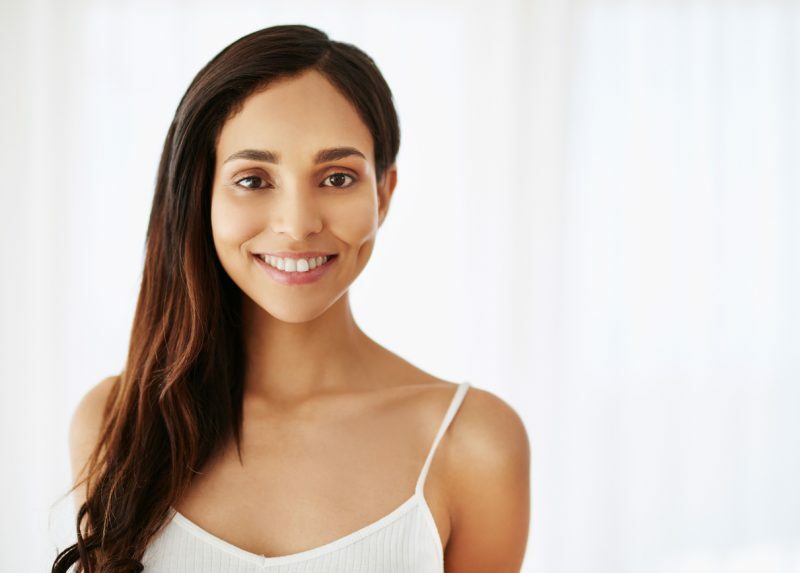 If you suffer from the condition and are looking for an effective melasma treatment, discover the benefits of the RevLite melasma laser treatment offered at the Laser Skin Clinic. What is the RevLite Laser? The RevLite is effective and safe on all skin types. This includes Asian, Indian and African skin. The RevLite Q-switched laser is an effective treatment for melasma on the face and is safe on all skin types, including Asian, Indian and African skin. It is a world class USA made laser that safely improves pigmentation, skin texture, pore size and sebum production. Studies have also shown it to improve acne, acne scars and fine wrinkles. Melasma is characterised by epidermal and deeper dermal melasma, both of which are typically found in patients with the condition. Whilst epidermal pigmentation may possibly be temporarily faded with topical lightening agents, the deeper, dermal form of melasma needs to be safely treated by the RevLite Q-switched Nd-YAG laser. The RevLite melasma laser treatment procedure works by the laser light breaking up the pigmentation in the dermis and epidermis. The extremely short pulse duration of the RevLite shatters the pigment into micro particles so that the pigment can be removed. How Many Melasma Laser Treatment Sessions Are Required? We recommend approximately 6-8 melasma laser treatment sessions at one to two week intervals for maximum success. After each treatment, you will notice that the melasma will progressively lighten. Take care both before and after treatments to minimise your exposure to the sun. Exposure to UV light will once again stimulate the melanocytes to create melasma again. If you do get any new melasma and have it treated immediately, you usually need only one to two treatments to remove it. A consultation with one of our specialist nurses/clinicians is required to determine your suitability for melasma treatment. To book your free consultation or seek further information about melasma treatment on the face, call us on 0415832226. Full Face: $295 per treatment and prepaid packages of 3 treatments receive 10% off or prepay for 5 treatments and get your 6th treatment free, custom quotes available in consultations. Call us on 62626216 or text 0415832226 to book your free consultation with a registered nurse.